Southeast Asia is looking like the ‘place to be’ in Asia for hotel ownership and development, according to the approximately 250 mostly Asia-based hotel leaders who took BHN’s survey in July 2012. Burba Hotel Network (BHN) has released the results of its most recent Asia/Pacific hotel investment survey. Southeast Asia is looking like the ‘place to be’ in Asia for hotel ownership and development, according to the approximately 250 mostly Asia-based hotel leaders who took BHN’s survey in July 2012. The Economy: When asked the question about which direction the respondents thought the economy in various locations (US, Europe, India and China) would be trending in January 2013, the choices were a simple – Up, Down or Flat. Suffice it to say that the optimism of past years (even in China and India) is tempered today. Each of these locations represents large and important economies – all of which are in periods of adjustment. GDP growth expectations have been lowered in India and China throughout 2012, the US recovery is sluggish, and Europe is still in the grips of working through various national debt crisis problems. Interestingly, in none of these four important economies did the majority of respondents expect upward economic trends in January 2013. India ranked the most positive, with 44 percent believing the economy will be trending upward. For Europe, not surprisingly, this number was only 10 percent. China ranked the second most positive (38 percent) while the US followed at 33 percent. Almost half the respondents expected the economic trend to be ‘flat’ in the US in January 2013. “What a difference a half-a-year makes! With the lower expectations for economic growth, the most recent BHN survey indicates that the Asia-Pacific hotel investment community has lowered its revenue and capital markets growth expectations substantially from the beginning of this year,” said Jim Burba, President and co-founder of BHN. Hotel RevPAR: It was no surprise that RevPAR (Revenue per Available Room) growth is expected to be the strongest in SE Asia, with 82% expecting growth, and half of this expecting it to exceed 5% in 2012. Korea is expected to outpace (72% positive RevPAR) both China and India. 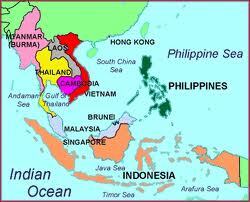 Australia/New Zealand, China, India and Japan followed SE Asia and Korea in that order. India had the most divergent views, with the largest amount of negative RevPAR growth expectations (20%). Over half the respondents expected Japan RevPAR to be flat or negative in 2012.Where is the New Construction Money for Hotels? “Construction money availability appears to be following RevPAR expectations. This is a GOOD thing if it turns out to be true, as the opposite (new hotels in downward trending markets) can be problematic, putting it mildly” said Bob Hayes, Vice President and co-founder of BHN. SE Asia leads the pack with the 82% believing more money will be provided this year, as compared to last year. India, Korea and China follow in that order – roughly similar to the RevPAR expectations.Interestingly, Australia/New Zealand, while showing good RevPAR expectations for the year, is lagging considerably with regards to the expectations of increased money’s being provided for new development. This reality in Australia is, no doubt, a part of Tourism Australia’s recently announced efforts to raise awareness of the opportunities to invest ‘down under’. Is the Hotel Industry More or Less Lucrative Today? This question measures how people feel about our business today when compared to the past. Is it a better place to be (i.e. more lucrative) than it was in the past. China, Southeast Asia and India all scored very well as being more ‘lucrative’ then in the past, at approximately 60% each, with China leading the way. All the destinations, except Japan, reported ‘As Lucrative’ and ‘More Lucrative’ scores combined of 80% or more – indicative of the optimism about our industry throughout Asia/Pacific.With Japan, nearly 50% of the respondents believed the business opportunities were less lucrative today then 10 years ago. This is no doubt due to the fact that Japan is a large and mature hotel market, the economic growth has been sluggish when compared to its Asian neighbors, and there are often high barriers to entry with new product.Two other things of interest: When respondents were asked to ‘write in’ a HOT SPOT city for investment in 2013. Jakarta barely edged out Singapore and Yangon as the top three spots in Asia/Pacific – more positive news for Southeast Asia. Oakwood expands in Japan !! Serviced apartment operator Oakwood has expanded its presence in Japan with the signing of a management agreement for a brand new property in Tokyo. Opening in 2015, the Oakwood Residence Tokyo will offer 123 fully-furnished serviced apartments ranging from studios to three-bedroom units, intended to cater to both short and extended stays, and the needs of expatriates relocating to the city. It will be located adjacent to the Yaesu entrance of Tokyo Station and will have shuttle bus terminal for both Haneda and Narita airports, plus a waiting lounge, basement car park, shops and dining outlets. “This [property] reflects Oakwood’s global strategy to increase the number of its locations internationally and to serve clients and business travellers throughout the world,” said Oakwood’s Chairman and founder, Howard Ruby, who recently travelled to Tokyo to meet with the property’s developers, Tekko Building Co.
Oakwood is now present in 14 Asian cities, including Japan where it opened its first property 10 years ago. People who have been to Tokyo always come back saying the same thing: I wish I had more time. By staying at luxury vacation rentals, you will be able to feel like a star when staying for as long as you want. Luxury vacation rentals are different than hotels, which assume that you will be staying for a week at most. Vacation rentals are either special properties or people’s homes that are hired out for a long period of time. There are two types of vacation rentals; apartments and homes. Apartments are set up like hotels but they contain more amenities. Hotels are generally made just for sleeping and relaxing in between activities, but if you’re going to be staying there for a while you will need more than that. The main differences will be the inclusion of a Fax machine service with the ability to connect to the internet for business dealings. Rather than every day turn down service, these vacation rentals will have cleaning on request or perhaps only once a week. The main selling point of these services is the guaranteed long term stay as well as a homey feeling. In Tokyo, some areas offer some wonderful long term holiday rental. The two bedroom apartments are quite luxurious with big screen LCD TV sets with DVD players, soft double beds, and amenities like home such as ironing boards, washer/dryers, and a fully stocked kitchen. On the other hand if you’d rather stay in a luxurious house, there are many designed for large groups or families staying together, and it’s great for families, friends, and business colleagues. These holiday villas can be three stories tall with the top two stories separated for sleeping and relaxing. Like all holiday villas, they comes with the essential amenities including a fully stocked and working kitchen, garage or parking spaces, laundry facilities, and internet and digital TV access. In short, this is a home away from home, and you will begin making comparisons to your own home, not to other hotels where you’ve stayed. The main difference between a luxury holiday apartment and a holiday home is the turn down service. In the apartments, someone will usually come by once a week to clean and to make sure everything is alright, and you might not get this at a holiday home. If you want a holiday away from house work, then go for a holiday apartment. Is it complicated to find a serviced apartment in Tokyo ? With the rise of international traveling also came the rise of serviced apartments. In Tokyo, for example, serviced apartments are very popular as they are already fully-furnished and come with several basic amenities. The greatest advantage, of course, is paying at a lesser price compared to hotels. Serviced apartments give travelers comfort, freedom, privacy, and safety at a lower price. What more can you ask for? There are several serviced apartments in Tokyo, and your next dilemma now is how to look for the one that fits you. This should not be a problem though, if you just know what you’re looking for. First, you have to decide what type of serviced apartment you need. There are “aparthotels” located in the city, which can give guests a feeling of living in a hotel, with 24-hour reception, but also a feeling of living in an apartment because of the lack of hotel facilities. There are also corporate housing available, residential properties which have been converted to short-term or long-term rentals. Corporate housing is popular in Tokyo because it can give travelers a feeling of a “home away from home”. After you’ve decided what type of serviced apartment to rent, you have to decide the size of the apartment itself. The great thing about serviced apartments is that they can be a very convenient option when travelling with the whole family. Apartments size range from studio-type rooms, fit for one to two persons, and two to three-bedroom houses that can fit a family of five. Despite the sizes of the apartments, however, they still are cheaper compared to their corresponding hotel rooms. Now that you’ve got those sorted, you can then focus on looking for the actual apartment. There are several booking agents with websites for pre-booking months or days before you travel (Roomorama.com). Contacting these agents and describing to them clearly the type and size of apartment you want. 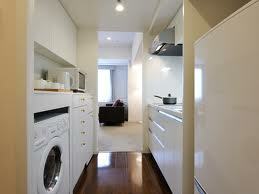 These agents will then contact several serviced apartments and give you a good price range. The agents will charge a small fee for these. If you’re a spontaneous traveler, a nice option is to wait until you get to Tokyo to find an apartment yourself. Serviced apartments are sprawling all over Tokyo, so you are sure to get an apartment in no time. A few conversations with locals could also help you find the best deals; as long as you stay positive and keep a friendly smile on your face, you might even find an opportunity to negotiate the prices of the apartments.